who joined the Albrecht Engineering team as a Structural Design Engineer and Gabrielle Clapper as an Environmental Design Engineer. McCullum comes to Albrecht Engineering after graduating from Morgan State University and with 2 years of experience. “I am excited to work with the Albrecht Engineering, Inc. team. 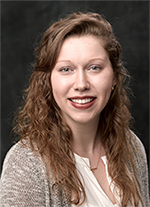 Every day, I come to work knowing that I will be contributing to important projects and learning from a very knowledgeable and experienced group of engineers,” McCullim said. 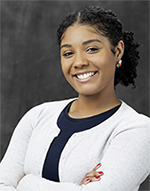 “I am very privileged to be joining a company that is dedicated to both its employees and clients.” She is currently working on the design of Baltimore City Public schools. Clapper has a bachelor’s degree in Environmental Engineering from Messiah College. While in college, Clapper co-managed the installation of a water purification system in Oaxaca, Mexico to provide clean drinking water to communities in need that are functional and sustainable. Clapper stated, “I wanted to work for Albrecht Engineering because it was a small woman-owned consulting firm. I am truly honored to be a part of the team.” She is currently working on sewer rehabilitation projects in Baltimore City and County. Founded in 2008, Albrecht Engineering is a WBE/MBE/DBE certified consulting firm in Baltimore City, Maryland, Virginia, and the District of Columbia providing engineering design, construction management and inspection, and geographic information systems (GIS) services. Albrecht Engineering offers high quality deliverables on time and on budget. More information Albrecht Engineering is available at www.albrechtengineering.com.